Our usual fantastic Big Breakfast, organisrd by Rob. With the Classic Cars in attendance. 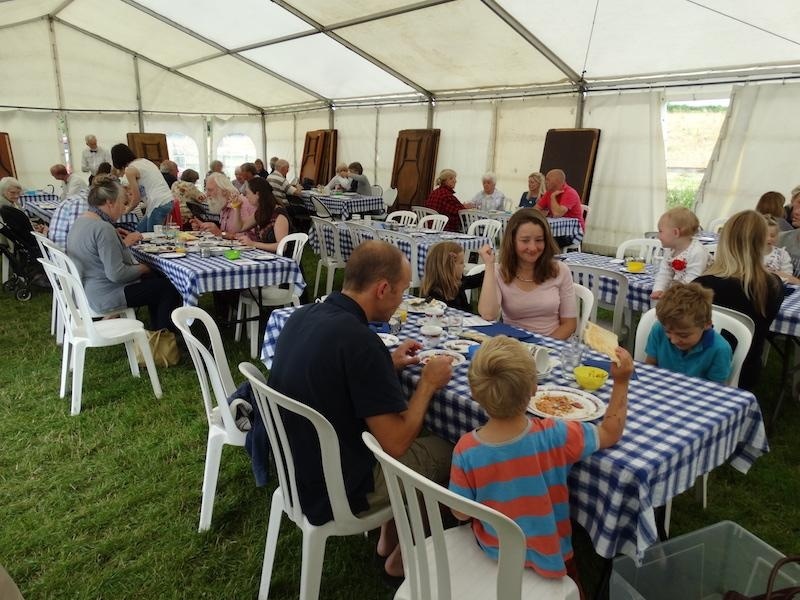 Sunday 15th July saw the annual Big Breakfast taking place at Stanton Drew for the 9th year and 129 customers were served to freshly cooked Full English breakfast with all the works. Once again the local classic car club joined us to start their rally after enjoying a hearty meal and their superb vehicles adorned the adjoining grass area where the breakfast takes place. 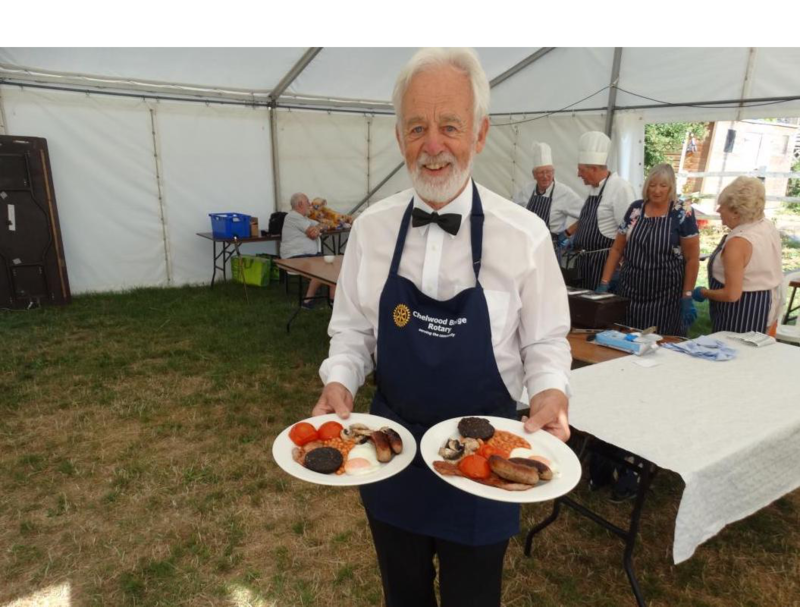 The Rotarians worked extremely hard either cooking, walking between the Hall and marquee where the event takes place carrying to and fro dishes, washing up or selling raffle tickets. Overall the event produced a profit of £983.70 which will be used for local Rotary charities. I would like to thank all those that gave up their Sunday morning to help run the Big Breakfast and particularly to Di Farmer, Shirley and my wife, Mary who helped make this year once again a great success. Thanks also to Dennis for providing the eggs and to all members that provided items for the prize hampers. The car club have asked us to do the Big Breakfast again next year, and the event will be held on Sunday 21 July 2019.